A little over ten years ago, my two biggest clients were global companies based right in my back yard. I worked across multiple business units, helping them shorten time to revenue on new product launches. My calendar was filled up five months in advance with all the projects I was working on. Then 2nd quarter earnings were released. While both companies had grown, they’d failed to meet the expectations of the Wall Street analysts. Everyone was ordered to cut costs – effectively immediately. External resources like me, were the first thing to go. Suddenly, my full calendar evaporated into thin air. I had no business. My good, long-term clients said, “Hang in there. We’ll be back soon.” I believed them. We’d worked together for years. Since it was summer, I decided to enjoy the break for a while. I started a creative project – writing a Harry Potter-style sales book. For the first month, I immersed myself in re-reading the entire series. I created characters. I mapped out the plots. Then I started writing. About three months in, I decided to learn about getting it published. I was a happy camper, waiting to resume my work. I kept in touch with my clients. They kept assuring me that we’d restart soon. After four months, I realized that nothing was going to happen and it was time to gear up for some prospecting. But no one answered the phone, all calls rolled to voicemail and nobody got back to me. The emails I sent seemed to disappear into a black hole. It felt fruitless. Nothing worked. I was getting a little (a lot) scared, but didn’t dare tell anyone. After all, there’s a certain irony with a sales consultant who doesn’t have any clients. Over time, I began to lose my mojo. I worried that I was over the hill and had lost my relevance. I started thinking that maybe I might need to go back to waitressing again. I honestly didn’t know what to do. And, because I was getting such poor results from my prospecting initiative, I stopped reaching out. I also realized that my value proposition sucked. It was way too broad, like an endless list of all the things I was capable of doing. I knew I needed to narrow it down, but that created a bit of an existential crisis. I couldn’t move on till I could get clear on the kind of work I wanted to focus on for the next decade of my life. I was hopelessly stuck. And, I wandered in that mode for way too long. With my cash reserves dwindling, I finally decided that going back to my product launch projects was the smartest decision. I was really good at it. And, it paid well. Within a few months, I’d picked up two nice-sized contracts. But, for the first time ever, I blew it. That’s when I realized that I couldn’t go back. I was done with that work. Unfortunately, I didn’t know what my new work would be. Finally, three things happened that changed everything. Instead of pretending that everything was great when I went to networking events or talked to colleagues, I told the truth: I was struggling. I’d lost my value proposition. I couldn’t set up meetings with prospects. By dropping the façade, people started opening up to me. They were having troubles too. They faced the same issues. Nothing was working for them either. It was eye opening. Initially I thought it was just me, losing my mojo. But knowing that everyone faced the same issue enabled me to get over my angst – virtually overnight. 2. I created a challenge. Suddenly I had a challenge in front of me. I wanted to find out what it would take to capture the attention of these corporate decision makers – so much so that they’d call or email me back right away. I began my quest for the answer. No one helped me. I was on this journey alone. But I now knew what I was looking for. 3. I discovered a mission. About this same time, a friend who published a magazine, asked me to spend two hours reviewing their media kit. They used it on sales calls, to convince advertisers it was worth spending money with them. But rather than just evaluating it, I asked for some background info the magazine’s readers—entrepreneurs. She sent over a 12” stack of info. Thinking it was definitely overkill. I dug in. Almost instantly I became enamored with the vitality and value of these growing firms. When I’d exhausted all her resources, I went online to learn more. Eighty hours later, I was hooked. Clearly these companies were the lifeblood of the economy. Yet way too many were failing. Why? Because they didn’t know how to sell. From my perspective, it was obvious they needed to close bigger deals. In short, they needed help selling to bigger companies – and I knew what it took. My curve ball changed everything. I no longer had any interest in working with my corporate clients on new product launches. Instead, I had a new passion – helping small and mid-market companies grow. 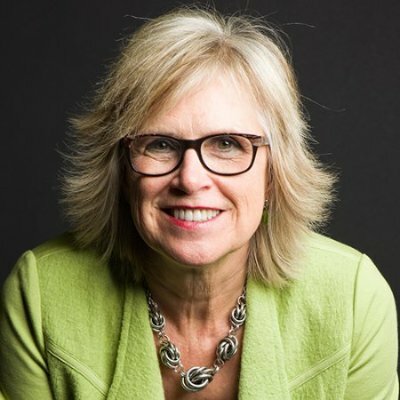 The first thing I did was to create a website, SellingtoBigCompanies.com (now merged into JillKonrath.com). I spent six months developing a series of six ebooks on key sales topics that I knew this market struggled with. I also wrote my first book, Winning Sales Questions, in PDF format. After launching the website, I suddenly realized no one knew it existed – and that all my efforts would be wasted unless I became visible online. I started writing a blog. I posted articles all over the web. And then, after I’d finally cracked the code on what it took to get prospects to call/email me back, I wrote a proposal for a new book I wanted to write. Within weeks, I had a publisher lined up and one year later, Selling to Big Companies was on the bookshelves. Because it addressed a critical sales issue, it became an immediate bestseller. Fortune magazine named it as one of eight all time best sales books. The rest, as they say, is history. SNAP Selling, my book on dealing with frazzled prospects/customers came next. The day it came out, it soared to #1 on Amazon. My newest book, Agile Selling, is due out at the end of May. It’s all about how to learn quickly so you can succeed in an ever-changing sales world. Today, over 125,000 people read my newsletter. I speak at conferences and sales kickoff meetings. I’m a recognized expert in my field. And, my mission is even stronger today than before. I constantly ask myself, “How can I give away my expertise for free – to those who need it – and still make a decent living?” It’s an interesting question, because it’s seemingly incongruent. But, as I’ve discovered, it’s very possible. I learned so many things from my career curveball. First of all, I would never be doing what I am today had I not spent several years wandering through the Valley of Death (at least it felt that way.) Instead, I would have spent my entire life helping my corporate clients in the Minneapolis area. I’m glad this experience happened to me. It took me way out of my comfort zone, forced me to re-evaluate everything and gave me a deeper sense of purpose. Because I’ve chosen to impact sellers across the world, I’ve learned how to write books, publish newsletters, do webinars and Google hangouts. I never aspired to where I am today. It happened because of my career curveball. But I am eternally grateful because I learned I had more to give than I ever knew. And, I keep on learning more, so I can stay relevant in a constantly changing world. Personally I find it’s much more satisfying to have a mission than a couple clients with whom I do tons of projects. I love knowing that my work matters every day. I love making a bigger difference, impacting more people. Here are a few other, more practical things I learned: Never put all your eggs in two baskets. Even though I was working in multiple divisions of these two companies, when Wall Street spoke, the whole company jumped. Plus, you should never believe a prospect when they say they’ll be back soon. Even if they’re well intentioned, they are often powerless. Start looking for new business right away. What else did I learn? 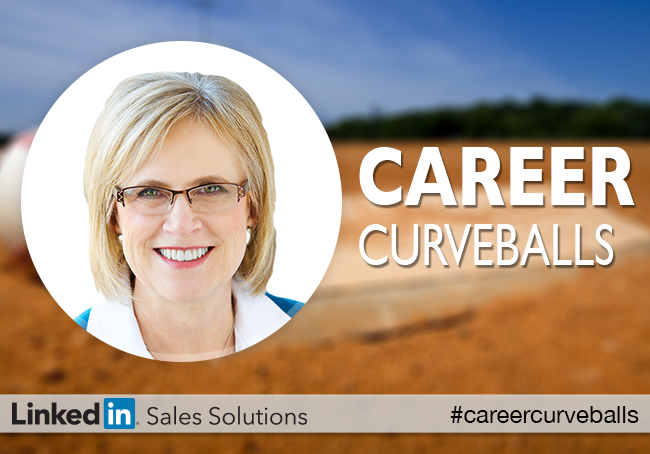 Here a few final thoughts about how to not just survive a career curveball, but also to thrive. Talk to your customers to really understand the value your product/service provides. Realizing the impact you make keeps you going even during tough times. They’re actually a time for introspection, readjustment and realignment. Never, ever define yourself as a failure. If things aren’t working out, you just haven’t figured it out YET. 3. Focus on learning – always. Don’t be myopic in your current job. It’s just one step in your life. Keep up to date on what’s happening in your industry, with your clients, with what it takes to be successful today. Not only is their life after career curveballs, there is often a better life.